I have a week old chick that has a alert call with about sixteen notes that were repeated with each of his alert calls. Most have a alert call of 6 notes as an adult and as little as three notes. You Chicken people know the sounds. This chick actually has some singing Qualities and does not sing the same song each time. 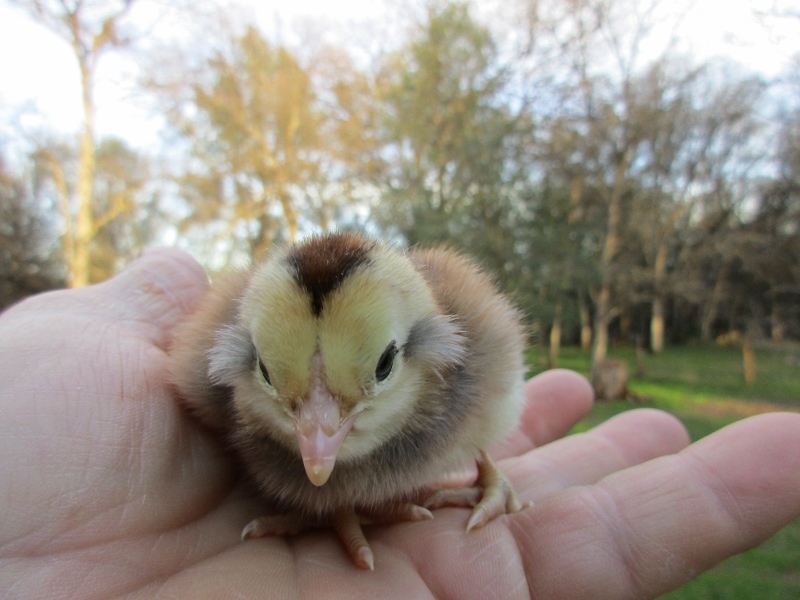 His alert call was long, loud and pretty consistent at 16 notes and would wake me in the night as they get spoiled for a week in the house after they hatch before going to “Brooder Barn”, but lately, he goes to 18 or 20 notes and has a warble at the end or the beginning. Perhaps he is experimenting but I have not noticed any week old chick with such a repertoire, Ever Ever EVER. I have watched , listened and seen them all together when the sounds are made and I still do not know which of the 10 chicks is making the noise…er…..song. I have read research that speaks of the song qualities in the Tufted Ketro lineage of the Araucana types heredity and have had Roosters with odd lengthy crowing abilities. He could be one of this bunch pictured as day old chicks. Enjoy.